Fun, food, drinks and education! How can we save America’s horses together? On March 26, 2019, from 6 to 9PM, stop by El Coyote in Danbury for some delicious Mexican dinner and drinks, and 10% of your bill and bar tab go to Rising Starr Horse Rescue (RSHR). Their team will be on hand to answer questions about volunteering, talk about America’s horses and show you their exciting tee shirts, glasses, phone credit card holders and bags all available for a donation. 100% of the donation for these items go to the horses. They will also have some surprise giveaways! WHAT: Drinks and dinner at EL COYOTE! Rising Starr Horse Rescue is a 501(c)(3) non-profit volunteer organization specializing in the rescue, rehabilitation, and rehoming of abandoned, neglected, and abused horses. 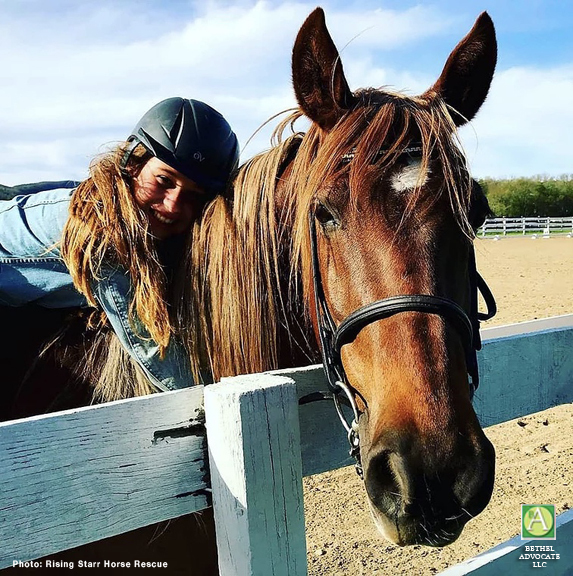 Located in Redding, Connecticut, Rising Starr Horse Rescue is home to a group of enthusiastic volunteers who all hold the same goal in mind- to rescue and rehabilitate horses in need. Founded June 2015, Rising Starr Horse Rescue exists to save horses from cruelty or slaughter by providing them with a loving home. Every member of their program treats all their horses with the love and respect they deserve – it’s their passion. Their talented and specialized group of veterinarians, staff, and volunteers work in perfect unity to commit to each horses rehabilitation. They are the team ensuring every horse becomes healthy, happy, and confident before they move on to their loving homes. Their mission extends their rehabilitation into purpose: striving to educate others around them about the cruelty of horse slaughter while providing guidance on how to decrease the number of unwanted horses in the United States. Rising Starr Horse Rescue … Saving one life at a time. Teaching the public the responsibility of horse ownership.